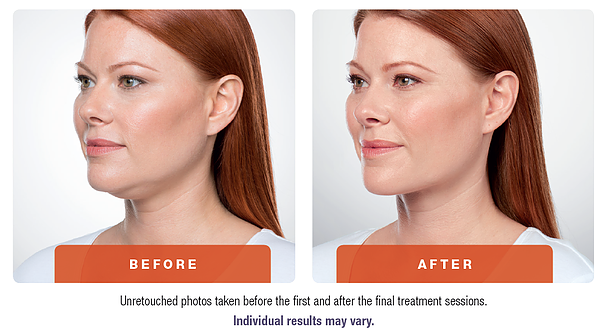 Are you bothered by fullness beneath your chin? 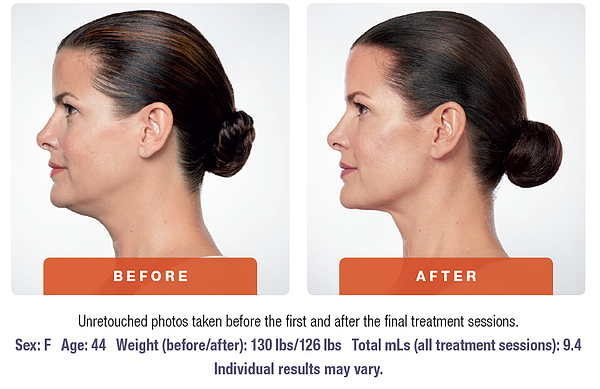 KYBELLA® is the first and only FDA-approvedinjectable treatment to improve theappearance of moderate to severe fat beneaththe chin* by physically destroying fat cells. *Also known as submental fullness.